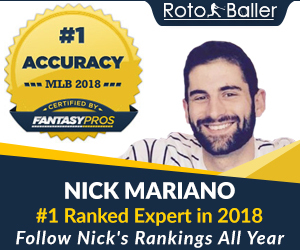 RotoBaller has assembled a list of daily NBA injury updates to help you prepare both your seasonal and daily fantasy basketball (DFS) lineups, every day of the NBA season. Below is our updated list of injured NBA players for March 20th, 2019. Only players on teams that are scheduled to play today will appear below on this list. 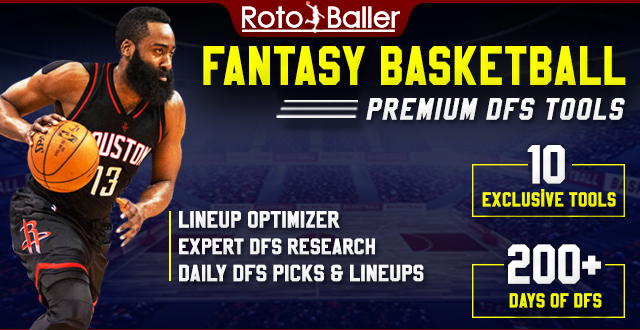 Understanding the injury landscape is key in all forms of fantasy basketball, especially when setting DFS lineups on sites like FanDuel and DraftKings. Consider this your one-stop overview of fantasy-relevant injuries around the NBA. 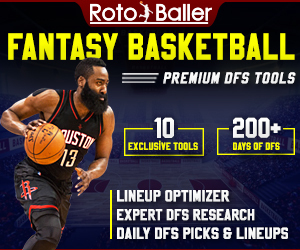 Editor's Note: Get our full-season NBA and DFS Premium Pass for 50% OFF. Plus, you also get our full-season NFL Premium and DFS Pass for free! Take advantage of our lowest pricing all year, and get an edge on your competition. Sign Up Now! Note: this post is automatically updated throughout the day, every 5 minutes, in case new injury updates are reported. Giannis Antetokounmpo MIL Out (Ankle) CLE Away Antetokounmpo was held out of the previous game due to a right ankle sprain and will not be available for Wednesday's clash versus the Cavaliers. Ersan Ilyasova MIL Probable (Illness) CLE Away Ilyasova missed the last game due to an illness but it is likely he will play against the Cavaliers on Wednesday. Pau Gasol MIL Out (Ankle) CLE Away Gasol was absent from the lineup during the last game with left ankle soreness and will not suit up against the Cavaliers on Wednesday. Nikola Mirotic MIL Out (Thumb) CLE Away Mirotic will likely need two-to-four weeks to recover from a fracture in his left thumb. George Hill MIL Out (Groin) CLE Away Hill is suffering from soreness in his left groin and will not play against the Cavaliers on Wednesday. Malcolm Brogdon MIL Out (Heel) CLE Away Brogdon suffered a minor tear of the plantar fascia in his right foot and will need six-to-eight weeks to recuperate. A return to the lineup during the middle of May is a possibility if the team remains in the playoffs. Sterling Brown MIL Out (Wrist) CLE Away Brown has been idle with soreness in his right wrist and is likely to remain sidelined until the end of March. Donte Divincenzo MIL Out (Heel) CLE Away DiVincenzo has been held out of the past two games with bilateral heel bursitis and will not take the court for Wednesday's contest against the Cavaliers. John Henson CLE Out (Wrist) MIL Home Henson is recovering from wrist surgery to repair a torn ligament and is expected to sit out until at least the latter part of March. Kevin Love CLE Probable (Back) MIL Home Love was absent from the lineup during the previous game due to a lower-back contusion but is expected to take part in Wednesday's clash against the Bucks. J.R. Smith CLE Out (Personal) MIL Home Smith is expected to sit out the remainder of the season as team management have no plans to insert him in the lineup for the remainder of the 2018-19 campaign. Tristan Thompson CLE Probable (Foot) MIL Home Thompson is sidelined due to left foot soreness but is projected to return against the Bucks on Wednesday. Matthew Dellavedova CLE Out (Concussion) MIL Home Dellavedova has missed time with a concussion and it is unclear when he will return to the lineup. Larry Nance Jr. CLE Probable (Ribs) MIL Home Nance Jr. sat out his fifth-straight game with a rib contusion but is likely to rejoin the lineup against the Bucks on Wednesday. Anthony Davis NO Out (Personal) ORL Away Davis is away from the team dealing with a personal family matter and will not play against the Magic on Wednesday. Jrue Holiday NO Out (Abdominal) ORL Away Holiday sustained a lower-abdominal strain and is expected to be idle until at least the early part of April. E'Twaun Moore NO Out (Quadricep) ORL Away Moore is sidelined due to a left quadriceps contusion and is likely to remain out of action until the start of April. Trevon Bluiett NO Out (Thumb) ORL Away Bluiett will miss an extended period of time after having right thumb surgery. Timofey Mozgov ORL Out (Knee) NO Home Mozgov is recovering from arthroscopic surgery on his right knee. There is no timetable for return. Markelle Fultz ORL Out (Shoulder) NO Home Fultz has been diagnosed with Thoracic outlet syndrome in his shooting shoulder and is expected to miss the remainder of the season. Isaiah Briscoe ORL Out (Knee) NO Home Briscoe will be out of commission for an extended period of time due to a small meniscus tear in his right knee. Mohamed Bamba ORL Out (Shin) NO Home Bamba is recovering from a procedure to correct a stress fracture in his left tibia and is in jeopardy of missing the remainder of the season. Al Horford BOS Probable (Knee) PHI Away Horford is expected to play against the 76ers on Wednesday despite light knee soreness. Gordon Hayward BOS Out (Concussion) PHI Away Hayward sat out the previous game as he is going through the league-mandated concussion protocol and will not play against the 76ers on Wednesday. Guerschon Yabusele BOS Probable (Illness) PHI Away Yabusele missed his second-straight game due to an illness but it is anticipated that he will be available for Wednesday's contest with the 76ers. Robert Williams BOS Probable (Illness) PHI Away Williams III was absent from the lineup during the last game with an illness but is likely to suit up Wednesday against the 76ers. Furkan Korkmaz PHI Out (Knee) BOS Home Korkmaz had surgery to repair a torn meniscus in his right knee and is expected to miss at least four weeks. Justin Patton PHI Questionable (Foot) BOS Home Patton is dealing with right midfoot soreness and it is unclear if he will be available for Wednesday's game against the Celtics. Derrick Favors UTA Probable (Hamstring) NY Away Favors exited the previous game due to right hamstring tightness but is likely to draw back into the lineup against the Knicks on Wednesday. Dante Exum UTA Out (Knee) NY Away Exum has been diagnosed with a partially torn patella tendon in his right knee and there is no timetable for return. Noah Vonleh NY Doubtful (Ankle) UTA Home Vonleh has sat out the last two games with a right ankle sprain, leaving his availability against the Jazz on Sunday unlikely. Dennis Smith Jr. NY Out (Back) UTA Home Smith Jr. has been held out of action due to a sore lower back and is likely to remain sidelined until the beginning of April. Frank Ntilikina NY Out (Groin) UTA Home Ntilikina is sidelined with a sore groin and will not return to action against the Jazz on Wednesday. Kadeem Allen NY Out (Illness) UTA Home Allen is ailing from an illness and will not play Wednesday against the Jazz. Allonzo Trier NY Out (Calf) UTA Home Trier is battling a calf injury and will not be in Wednesday's lineup versus the Jazz. John Wall WAS Out (Achilles) CHI Away Wall ruptured his Achilles tendon and will miss the remainder of the 2018-19 season. Dwight Howard WAS Out (Back) CHI Away Howard had surgery performed on his lower back to relieve pain shooting down to his gluteal muscles and is dealing with a hamstring injury. He is expected to be held out of the lineup until the middle of March. Otto Porter CHI Out (Shoulder) WAS Home Porter Jr. sat out the last game due to a right rotator cuff strain and will not suit up Wednesday against the Wizards. Zach LaVine CHI Probable (Thigh) WAS Home LaVine has a right thigh contusion but it is expected he will play against the Wizards on Wednesday. Denzel Valentine CHI Out (Ankle) WAS Home Valentine is expected to miss the remainder of the season after having reconstruction surgery on his left ankle. Wendell Carter Jr. CHI Out (Thumb) WAS Home Carter Jr. had surgery to repair the ulnar collateral ligament in his left thumb and is likely to miss 8-12 weeks. Chandler Hutchison CHI Out (Toe) WAS Home Hutchison is sidelined with an acute injury to a sesamoid bone his right foot and is expected to be absent from the lineup until at least the end of March. Eric Gordon HOU Out (Rest) MEM Away Gordon will not be available for Wednesday's game versus the Grizzlies as he will receive a day of rest. Terrence Jones HOU Questionable (Illness) MEM Away Jones missed his fifth-straight game due to an illness and it is uncertain if he will return Wednesday against the Grizzlies. Kenneth Faried HOU Out (Knee) MEM Away Faried is hampered by left knee soreness and will not play against the Grizzlies on Wednesday. Isaiah Hartenstein HOU Out (Achilles) MEM Away Hartenstein has sat out the last five games due to right Achilles soreness and will not draw back into the lineup against the Grizzlies on Wednesday. Avery Bradley MEM Out (Shin) HOU Home Bradley is dealing with a right shin contusion and is expected to be held out of the lineup until at least the start of April. Kyle Anderson MEM Out (Shoulder) HOU Home Anderson is sidelined with right shoulder soreness and has been shut down for at least an additional two weeks. C.J. Miles MEM Out (Foot) HOU Home Miles suffered a stress reaction in his left foot and is expected to miss the remainder of the season. Dillon Brooks MEM Out (Toe) HOU Home Brooks is expected to miss the rest of the season due to surgery for an injured right big toe. Jaren Jackson Jr. MEM Out (Thigh) HOU Home Jackson Jr. is sidelined with a deep right thigh contusion and there is no definitive timetable for return. Justise Winslow MIA Out (Thigh) SA Away Winslow has sat out the previous two games with a right thigh contusion and will not be in Wednesday's lineup versus the Spurs. Rodney McGruder MIA Out (Knee) SA Away McGruder was absent from the lineup during the last game with soreness in his left knee and will not play against the Spurs on Wednesday. Dejounte Murray SA Out (Knee) MIA Home Murray tore the ACL in his right knee and is expected to miss the 2018-19 season. Kyle Lowry TOR Out (Ankle) OKC Away Lowry left the previous game with right ankle sprain and will not be available for Wednesday's clash versus the Thunder. Nerlens Noel OKC Questionable (Quadricep) TOR Home Noel was held out of the previous game with a left quadriceps contusion and it is unclear if he will play against the Raptors on Wednesday. Andre Roberson OKC Out (Knee) TOR Home Roberson is recovering from offseason knee surgery and is also suffering from a small avulsion in his left knee. He is without a timetable for return. J.J. Barea DAL Out (Achilles) POR Away Barea had surgery to repair a torn right Achilles and will miss the remainder of the 2018-19 season. 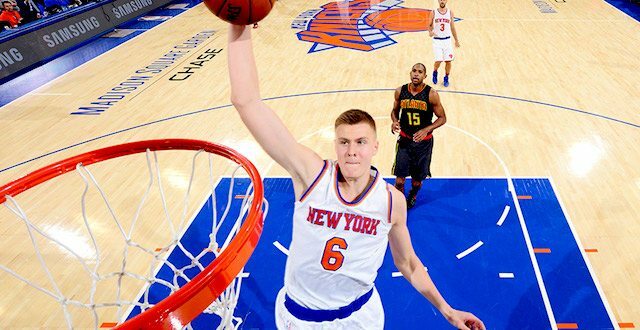 Kristaps Porzingis DAL Out (Knee) POR Away Porzingis is recovering from surgery to repair a torn ACL in his left knee and will not play this season. Maximilian Kleber DAL Out (Wrist) POR Away Kleber exited the previous game with a sprained left wrist and will not play against the Trail Blazers on Wednesday. C.J. McCollum POR Out (Knee) DAL Home McCollum sustained a popliteus strain in his left knee and is likely to be sidelined until the latter part of March.